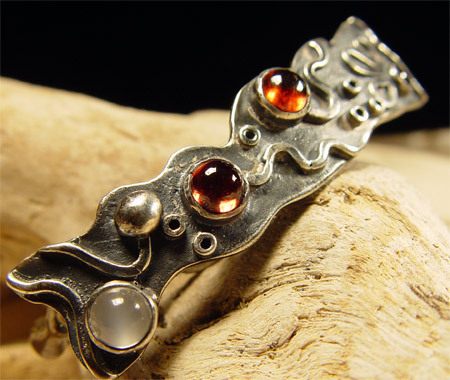 This sterling silver hair barrette features a moon stone and two garnet cabochons set in 5mm hand drawn tube. The backside of the Barrette has a wavy hair grip to hold barrette firmly in place.The hair clip fastens tightly to a silver ball. 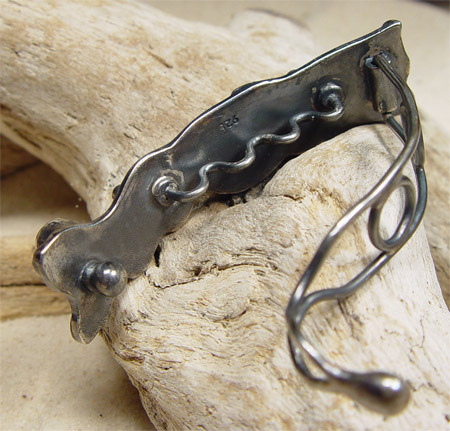 The hair barrette has been given a patina finish and measures ~2"x 5/8"